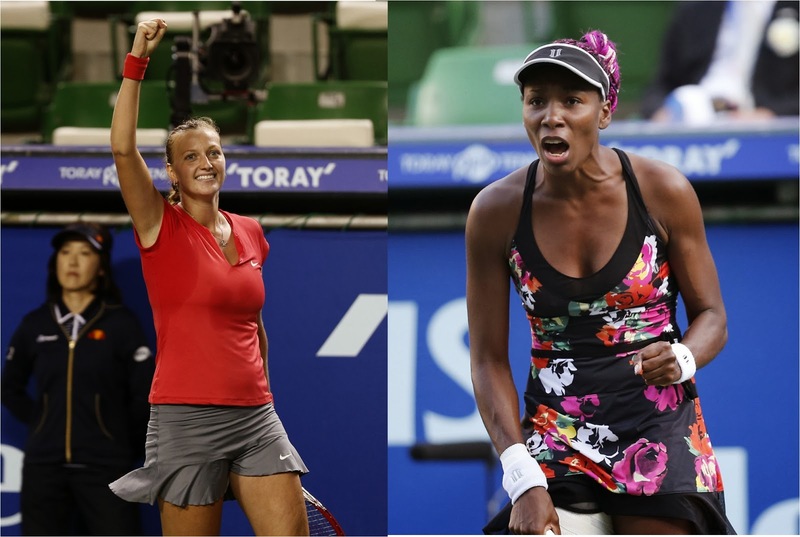 Petra Kvitova rallied to defeat Venus Williams 3-6, 6-3, 7-6 (2) and advance to the Pan Pacific Open final on Friday. Former Wimbledon champion Petra Kvitova saved 11 break points as she beat Venus Williams 3-6 6-3 7-6 (7-2) to reach the Toray Pan Pacific Open final in Tokyo. Williams, who has slipped to 63 in the world rankings, had hoped to reach her first Premier-level final since 2010. Injuries have hampered Williams, who suffers with the auto-immune disease Sjogren's syndrome, in recent years. "I was probably a little tired but I don't think it affected the match," said the 33-year-old American. The former world number one, who will rise to 38 in the rankings next week, secured a decisive break of serve in the sixth game of the first set to claim the opening set. Williams had shown glimpses of recapturing some of her form of old in this tournament, beating top seed and world number two Victoria Azarenka in the second round. But Kvitova proved an obdurate opponent, battling back to take the match into a decider and easing to a comfortable 6-0 lead in the tie-break before wrapping up victory in two hours and 24 minutes. "At the end she played amazing in the tie-breaker," added five-time Wimbledon champion Williams. "I don't think I'm at my best off the ground yet. My serve has improved tremendously with each match here. "She hit a lot of un-returnable shots in the tie-breaker and sometimes that happens. She just played great." Czech Kvitova, the world number 11, will face Angelique Kerber in the final after the German fifth seed defeated Caroline Wozniacki 6-4 7-6 (7-5).